1931, Robert Merrell Gage. 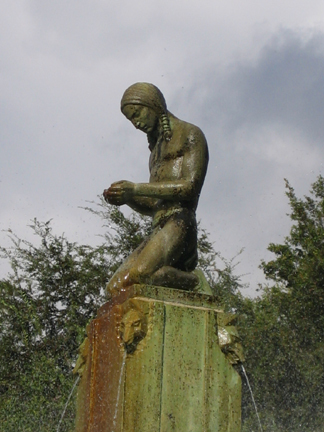 Detail of the sculpture of a Native American, crowning the fountain. Wilshire at Santa Monica, Beverly Hills.